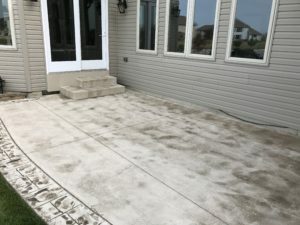 Stamped concrete is a beautiful upgrade to the traditional look, with its textures and colors. 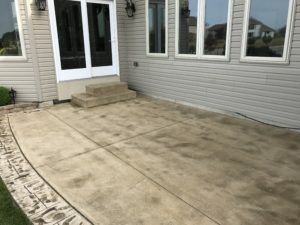 To keep it looking its best requires the proper maintenance schedule. The acrylic sealer sits on top of the surface and gives the "wet look" that people love. Because the sealer sits on the surface it can become slippery when wet. If your stamped concrete is around a pool or hot tub ask about our anti-slip additive to help reduce the risk of falling.